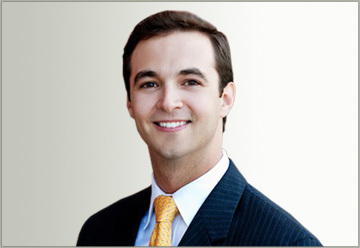 Attorney Jackson Turner-Vaught has been practicing law in South Carolina since May 24, 2004. He is committed to helping the people of Horry County and Georgetown County gain control over their financial future. Jackson takes his bankruptcy practice seriously. He regularly attends continuing legal education seminars on bankruptcy topics to stay up to date on the changing legal landscape. Jackson is a member of the South Carolina Bankruptcy Law Association and the Consumer Law Section of the South Carolina Bar Association. Jackson previously gave a seminar presentation at the South Carolina Bar Convention on the topic of Tax Issues in Bankruptcy. Jackson has also participated in the Ask-A-Lawyer phone bank for the United States Bankruptcy Court for the District of South Carolina. Whether bankruptcy is right for you or not, Jackson gives practical, real-world advice on getting your financial house in order. Jackson is a Horry County native. He was raised the second of five children in the small town of Conway, South Carolina. After graduation from Conway High School, Jackson attended Wofford College and Coastal Carolina University for his undergraduate degree, graduating in 1999 with a Bachelor of Science in Business Administration from Coastal Carolina University Wall School of Business. He then traveled to Columbia to attend the University of South Carolina School of Law and obtained his Juris Doctor degree in 2002. After graduation law school, Jackson ventured on to the big apple to pursue an advanced law degree, a Master of Laws (in Taxation), at New York University School of Law, consistently ranked as the #1 graduate tax program in the United States; he graduated in 2003. Jackson left his snow boots in New York and accepted a position with a large firm in his home state of South Carolina in 2003. He worked for them in Columbia for nearly five years. With a good bit of experience under his belt, Jackson decided it was time to make his way back to the coast to be closer to his family. He started his own practice in July of 2008. He met his wife in 2011 and began a family of his own. Together they have continued to grow roots in the community and the business. They welcomed their first child in March of 2013. Jackson leads his family as active members of Christ United Methodist Church. Jackson volunteers as a greeter for Christ United Methodist Church and as a member of the Board of Directors for The Humane Society of North Myrtle Beach. Whether it is a local animal rescue organization, participating in an outreach program in his community, or just merely offering assistance of his skills to his neighbor, Jackson strives hard to serve God, his family, and those in his community. His honor to his clients and his dedication to his work is a direct reflection of perseverance. He fights hard for each of his clients to relieve, resolve, and start fresh to secure a positive financial future. He gives respect to everyone that walks in his door and takes great pride in his work. Jackson has hand picked each of his employees and is confident that his team is small but mighty. Each member of Jackson’s team at Turner Vaught is a consummate professional at her skill, as well as a down to earth, good, kind person. His business motto ‘We Care. We Can Help.’ is more than just a motto; it’s his way of life.